Amasty is a provider of e-commerce extensions around the world. Amasty is not only the best provider of premium extensions for merchants, it also boasts the quality of customer support. It always receives absolute satisfaction from merchants and Magento customers. In addition, Amasty is also actively involved in the Magento community, organizing and attending events in various countries. Spitalska 53, Bratislava, 811 01, Slovakia. View Map. 104A Dzerzhinskogo Av., 190, Minsk, 220116, Belarus. View Map. The Studio, St. Nicholas Close, Elstree, Herts, WD6 3EW, United Kingdom. View Map. Amasty is a provider of e-commerce extensions around the world. 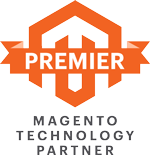 The company now includes more than 200 products available for Magento merchants and serves over 25,000 customers. Besides, Amasty is developing more than 70 extensions for Magento 2. It promises to be one of the three extension providers in the world. Amasty is not only the best provider of premium extensions for merchants, it also boasts the quality of customer support. It always receives absolute satisfaction from merchants and Magento customers. In addition, Amasty is also actively involved in the Magento community, organizing and attending events in various countries. Established in 2009 and became Magento’s official partner, Amasty is committed to bringing extensions with wonderful features and quality. The best selling products have been tested such as Layered Navigation, Color Swatches Pro, One Step Checkout, etc. All this is why cooperation with Amasty will be effective in your business.